I had a bit of a heavy heart today. Time to say farewell again to my lovely girl who was heading back to Durham (not for long though but more on that another day). 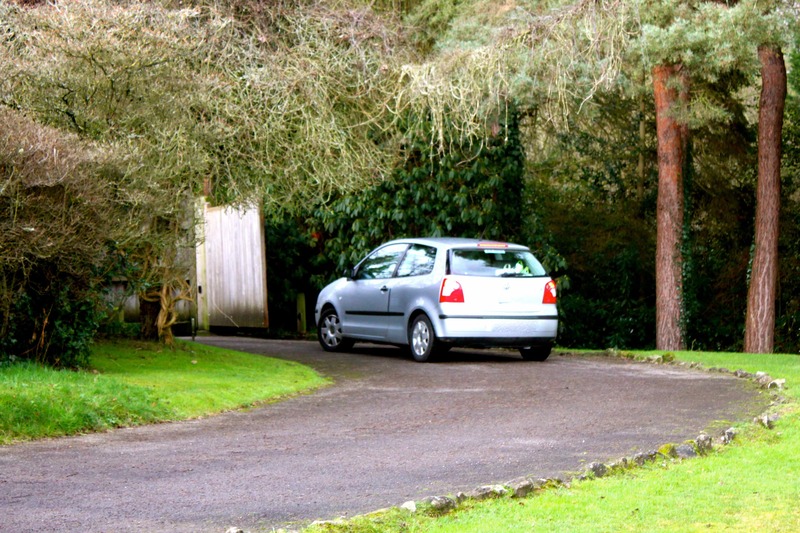 She was taking Lucy with her and I was happy she would have company as that is a long drive. I cooked a big breakfast as they were not planning on stopping during the 5 1/2 hour journey. I had one slice of wholemeal toast with a poached egg and some smoked salmon. 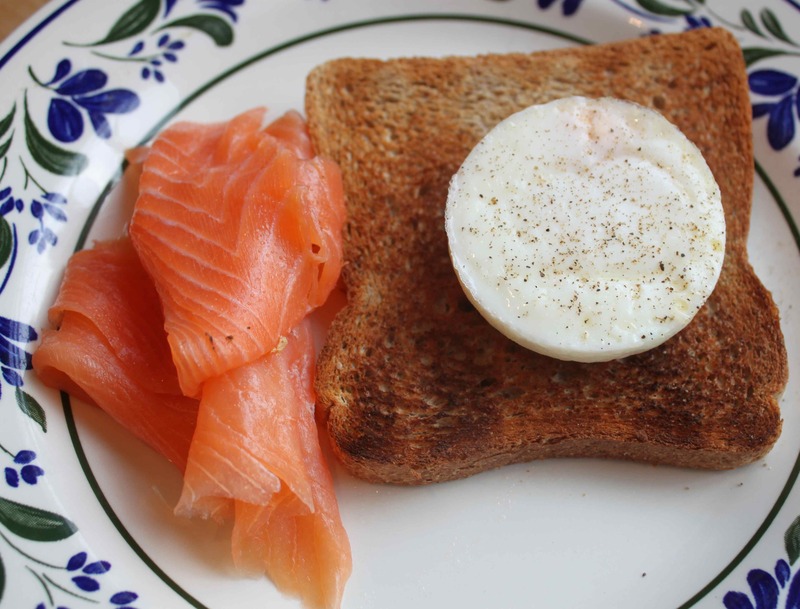 7 points (60 g salmon = 2, 1 slice bread = 2 and egg = 3). I bought the bread and salmon in the village shop which needs support. The bread comes from a local bakery and the salmon is smoked locally. The forecast was for snow which was not helping my anxiety levels! 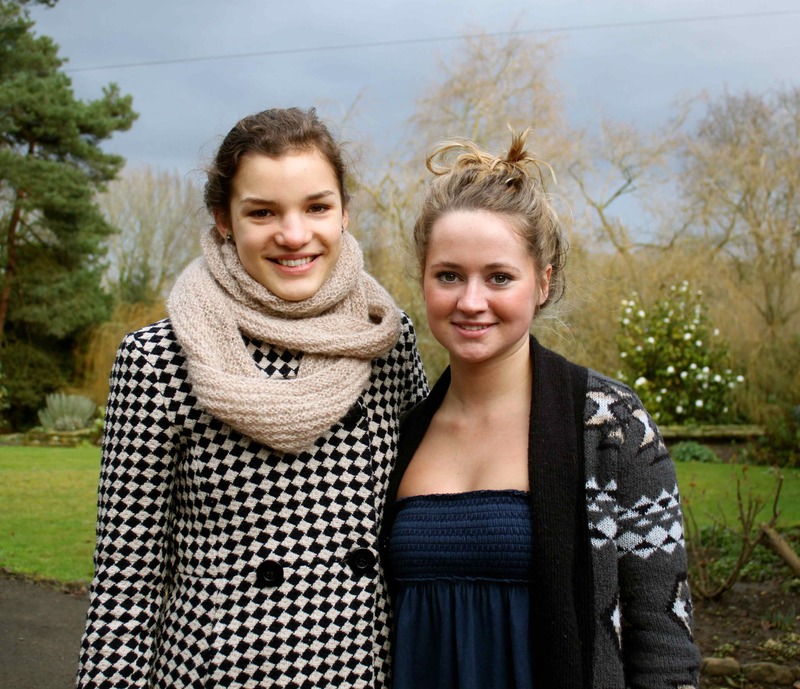 Farewell gorgeous girls, until next time. I had a late morning snack of a Dr. Karg’s cracker, butter and some Stilton – 7 points. I then made a light lunch. After marinating chicken breasts in fresh lemon juice, salt and tarragon I covered the dish and baked in the oven for 25 minutes. This resulted in very moist just cooked chicken breasts. 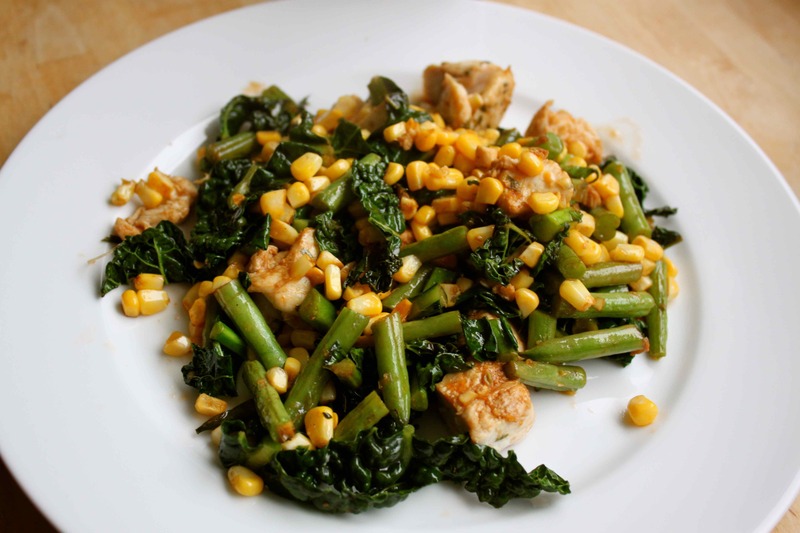 I chopped them up and stir fried with sweetcorn scrapped from the cob, cavolo nero and green beans. It was light and very tasty. 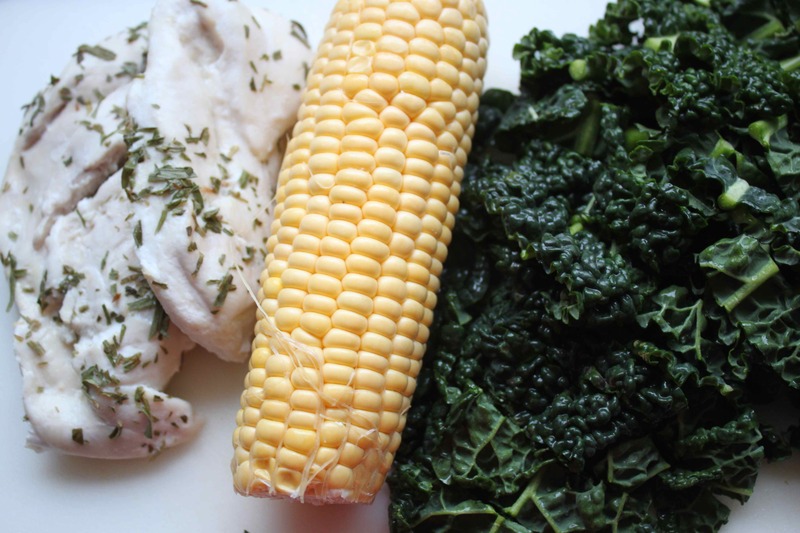 9 points (chicken breast = 4, oil = 4 and corn =1). 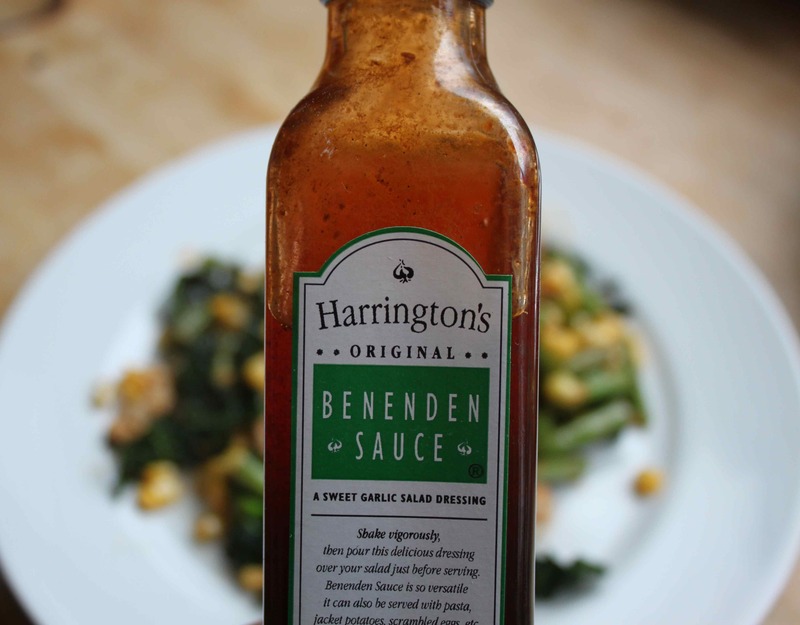 I stir fried using Benenden Sauce which is made locally. Although it is sold as a salad dressing, it makes a very good stir fry sauce as it is sweet and garlicky and has soy sauce in it. If you haven’t tried it in a str fry, give it a go. I spent a very enjoyble 3 hours playing Mah Jong with Annette and David. I had a large glass of white wine – 6 points. 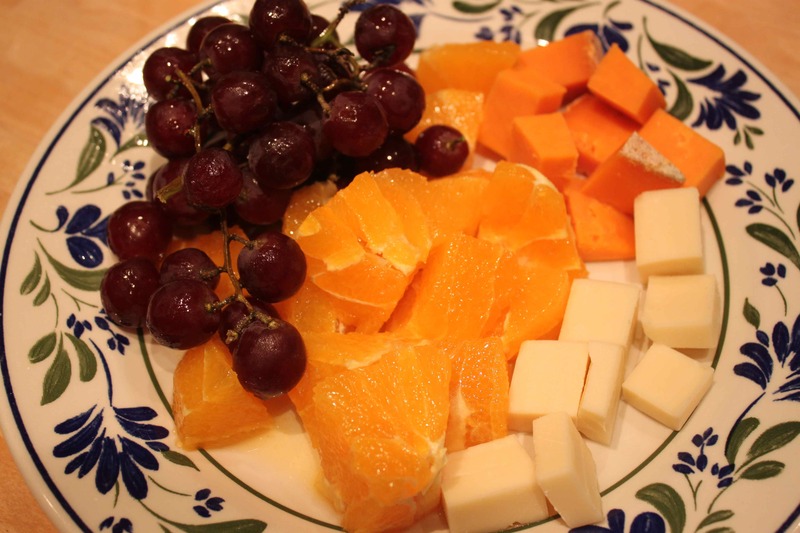 I was not in the mood for cooking this evening so I made a simple supper of 40 g Gruyere (4 points), 46 g Red Leicester (5 points), grapes and a juicy orange. This was not a perfect weekend of eating and Friday was a disaster. So not very excited about weigh in day tomorrow but I will definitely go anyway. This entry was posted in Diet Struggles, Keep It Local and tagged Chicken, Salmon. Bookmark the permalink.